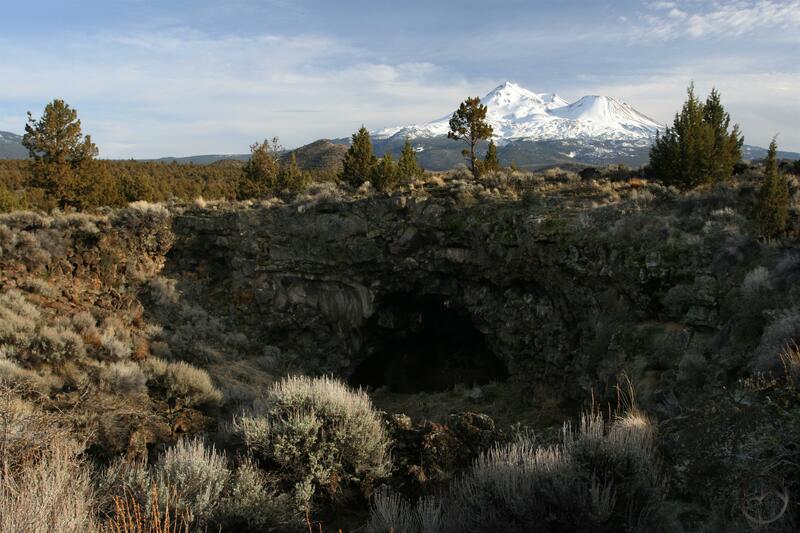 Mount Shasta, Yellow Butte and Pluto Cave. As noted here, winter is often a maddening time of the year for hikers. The high country, so close in proximity yet exasperatingly inaccessible beneath its mantle of snow, is not a viable option for hitting the trail. Still, the Mount Shasta area is blessed with numerous winter alternatives for off season hiking. 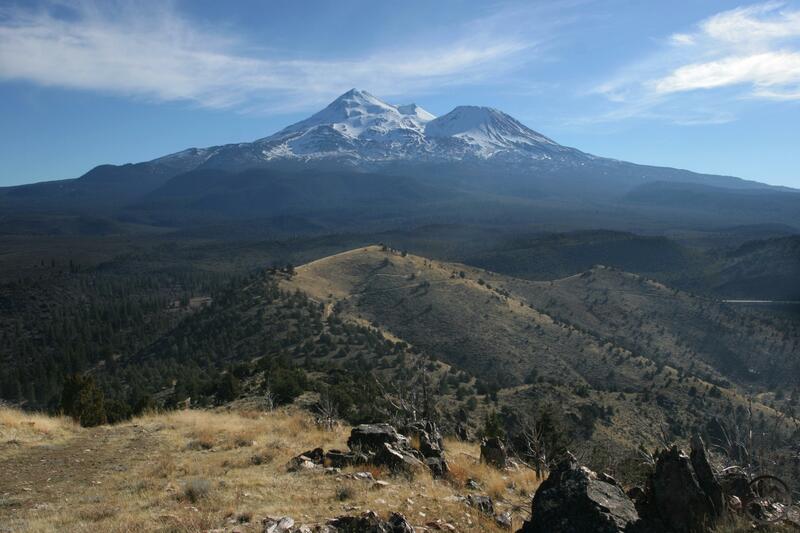 The best of these options lies to the north of Mount Shasta, in the Shasta Valley. 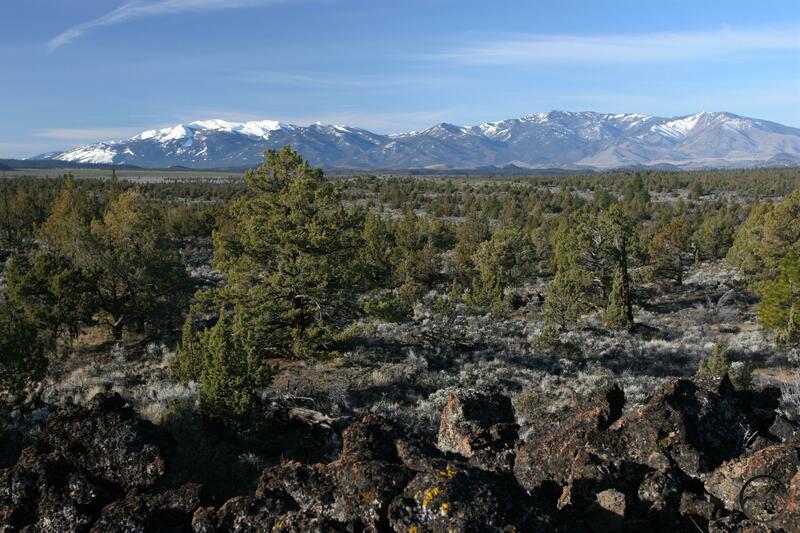 The valley is a wide gap between the Klamath Mountains on the west and the Cascade Range on the east. Mount Shasta, which is actually an outlier on the west side of the Cascade’s crest, bottles up the southern end. The Shasta River, with its headwaters on the flanks of Mount Eddy, drains the valley. The key feature of the Shasta Valley is that it falls within Mount Shasta’s rainshadow, making the valley a pocket of high desert terrain surrounded on all sides by higher alpine and forest clad mountains. Consequently, even when most places are being pounded by winter storms, the valley receives very little precipitation and the trails are wide open for great hiking. Of course, the high desert environment, characterized by the ubiquitous juniper and sage, may not be to everyone’s liking but for those who relish this change of pace from the dark forests just a few miles to the north, the Shasta Valley offers a winter oasis with seldom hiked trails and spectacular views. What is possibly the best day of off season hiking can be constructed out of two of the trails in the southeast corner of the Shasta Valley. 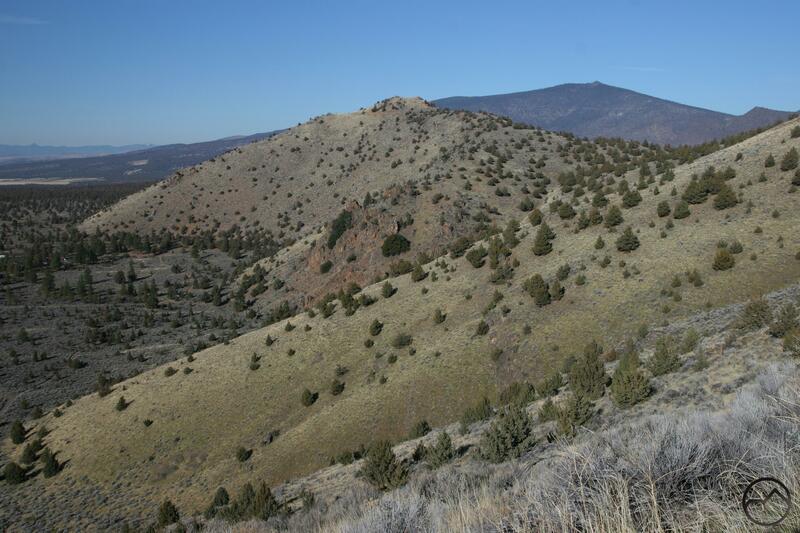 The Pluto Cave Trail and the Yellow Butte Trail are only two miles apart but offer very different hiking experiences. Neither is long enough to occupy a full day but when strung together, one in the morning, the second after lunch, a fantastic and magnificently scenic day on the trail. The two trails are the Pluto Cave Trail and the Yellow Butte Trail. As noted previously, these two trails are found in the southeast corner of Shasta Valley, near where the eastern base of Mount Shasta and the Cascades crest meet. While most of the valley is privately owned, there is a small knot of national forest and BLM land here. This is fortuitous for hikers, as it provides a great day of winter hiking. The trails include one of the most unusual attractions in the Mount Shasta region as well as nearly constant, spectacular views of Mount Shasta. Views of the Cascade Crest, Trinity Divide, Siskiyou Mountains and even the Marble Mountains compliment these trails as well. In between the two trails, there is a small picnic area at the Pluto Cave Trailhead. This is a great spot to have a lunch in between the two hikes. Trinity Divide from the Pluto Cave Trail. 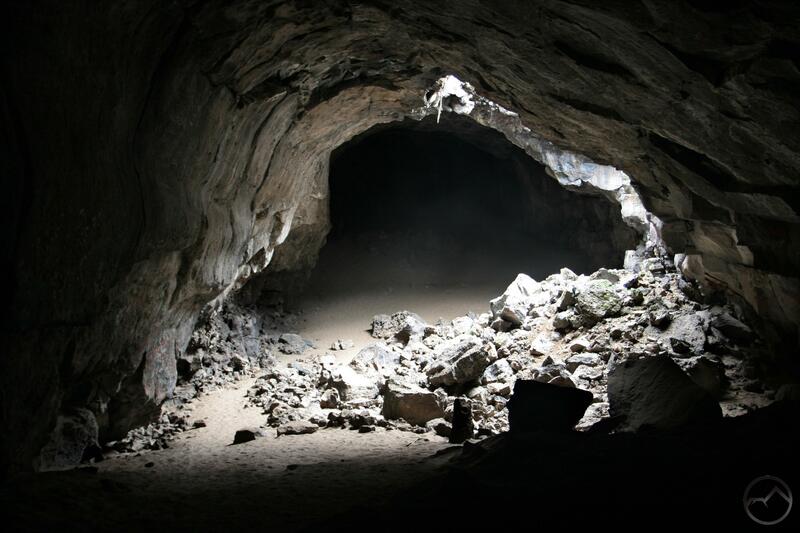 Collapsed ceiling inside Pluto Cave. Mount Shasta from the summit of Yellow Butte. Of all the color-themed buttes that surround Mount Shasta, Yellow Butte is the lowest in elevation and the only one found on Mount Shasta’s north side. The trail up to the summit is 3 miles round trip, which makes for a leisurely afternoon stroll. Even though the butte is a classic high desert peak, the landscape is markedly different from that encountered along the Pluto Cave Trail. While juniper is present it appears infrequently. The butte is covered in an expansive layer of gold grass, the genesis of the butte’s appellation. The trail winds around small drainages and peaks en route to the summit. Slung on the peak’s flanks and high above the surrounding forest of juniper, the views from the trail are as excellent as they are relentless. One is never out of eyeshot of Mount Shasta and all the mountains that ring the Shasta Valley. Still, the best views are from the summit, where there is a 360 degree unobstructed view of the surrounding region. Hiking this trail in the afternoon means the light on Mount Shasta and the Cascade crest to the east is optimal. Staying up on Yellow Butte for sunset is an experience not soon forgotten. The Haystack from the beginning of the Yellow Butte Trail. Immediately to the west of Yellow Butte is another small peak, appropriately named the Haystack. 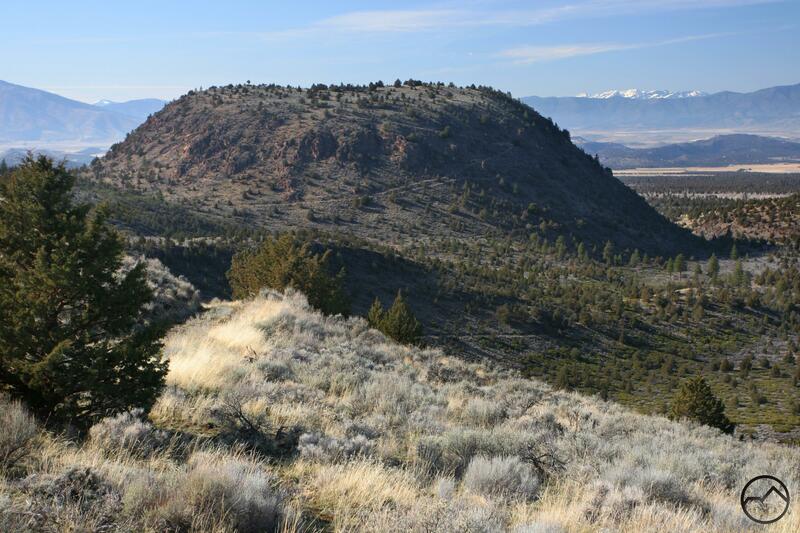 There is a great trail up to the summit of this butte as well and its proximity to Yellow Butte means it can easily be included to lengthen a day of hike. It was not included in the suggested day of winter hiking in the Shasta Valley only because its views are similar to those on Yellow Butte. Rather than having a single 360 degree view from a pointed summit, the Haystack has a broad, round summit with a trail circling the rim. 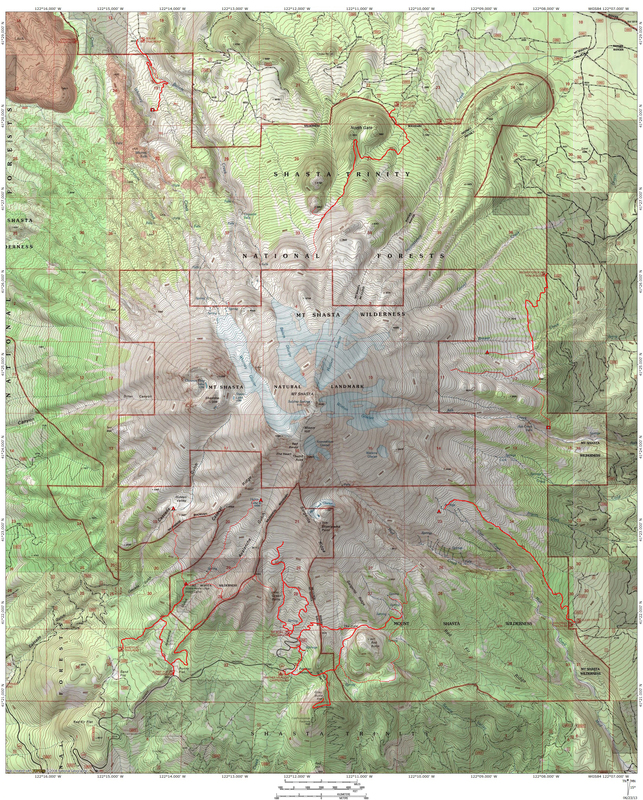 The Haystack is certainly a worthy trail and can easily supplement the suggested Pluto Cave Trail – Yellow Butte Combination.